Do you know what one thing stops the most dedicated athlete in their tracks? One injury can keep you away from the box for days, weeks, even months while the injury heals. 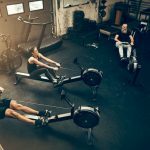 Meanwhile, you may be losing precious muscle, gaining unwanted fat, and going backward on your fitness goals. 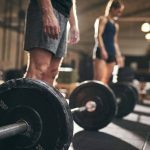 Is time away from the Gym the only problem? Injury may require expensive treatment or surgery, with additional downtime. Injury may also prevent you from working, driving, walking or just being comfortable. Injury can happen over time and sneak up on you as you get older too. 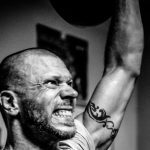 How are CrossFit knee sleeves different from knee sleeves for lifting? Everyone has heard of the star athlete who was permanently taken out of the game due to a repetitive or acute knee injury. Anyone Remember basketball players Bernard King or Pete Maravich or baseball great Ken Griffey Jr.? They were all sidelined by knee injury. Why use a knee sleeve? They keep your knees warmed up in between reps and different exercises, which make squats and lifts, feel more fluid. The best knee sleeve for CrossFit will give a small amount of bounce at the end of a squat which may or may not help you lift more weight. The benefit of the bounce is the added confidence the sleeves give to go deep on a squat and reap the maximum benefit while building your gluteus maximus. Knee sleeves help keep your knees pointed out and improve your form. 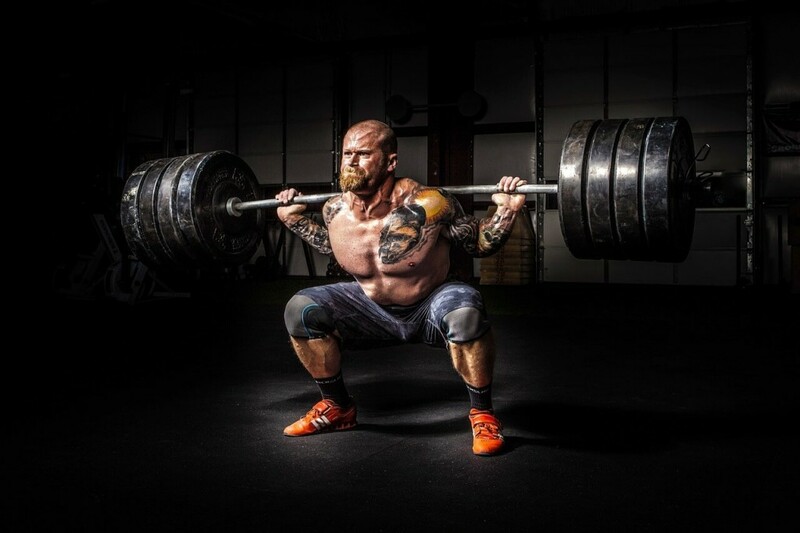 The importance of correct form while lifting, squatting or virtually any exercise cannot be understated. 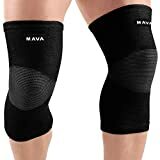 Knee sleeves are a form of “prehab” because you wear them before wearing or damage occurs and prevent the pain in the first place. You may believe that you are OK with your current routine, but as many athletes will tell you, the injury can show up later or occur over time. 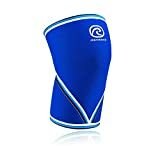 Many advocates of the knee sleeve say they did not realize how much wearing a knee sleeve during their workout would reduce post workout aches and pains. Speaking of “prehab” stretching is an important way to prevent injury. Check out our list of recommended stretch mats before you hit the gym. If you are trying to increase your squat weight, knee sleeves are a must. The added weight on a knee that has not lifted a higher weight is just begging for an injury. Knee sleeves will give you the confidence to take your weight to the next level. Sleeves provide the bounce needed to actually lift heavier, and they protect your knee from injury on heavy lifts. Click here for more info on the best knee sleeves for squats. CrossFit Sleeves are built to support and stabilize, just like sleeves for lifting. The difference is that lifting sleeves are often tighter and stiffer, made specifically for support while lifting. Weight lifting sleeves will be very hard to get on. 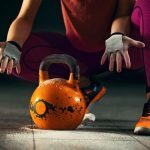 If a sleeve is too easy to get on, it will not have the support needed for serious lifting, and they are probably designed for functional fitness or CrossFit. In fact, many weight lifters use knee wraps instead of sleeves, because they can get the wraps tighter than a sleeve. CrossFit knee sleeves are not as intense, they are designed to support and stabilize, but they offer more movement and can be worn for agility movements plus you can wear them for the entire workout if you want. CrossFit Knee sleeves are great for high repetition lifting. 1. Very stiff, SBD neoprene. The type that is hard to get on and offer maximum support. They feel tight and do not bend easily. These are the type of sleeve power lifters wear. 2. Sleeves that offer a mix of support and flexibility. They are OK for lifting and agility movements. These are the most common type worn for CrossFit. They can be worn during the entire workout. 3. Light and flexible sleeves. These can be worn all day, everyday for virtually any activity. They are sometimes worn just to cover the knees and protect it from the bar. They offer minimal support, but do keep the knee joint warmed up. This is a preference issue. Some find that longer sleeves offer more support while others find the long sleeves have too much fabric and feel bulky. These are measures of thickness and apply to neoprene sleeves. 7mm thickness is stiffer and more supportive. 5mm thickness is more flexible and can be used for jogging or agility exercises. One common failure point in knee sleeves is the stitching, which is why it is important to check the stitching. he seams should be smooth, evenly sewed, straight and neat. Look for sleeves that are double stitched and check reviews for those that tend to fall apart of develop holes. Review: One of the most popular, and pricy knee sleeves available. They are often sold as a single sleeve instead of a pair, and they are average length for a knee sleeve. 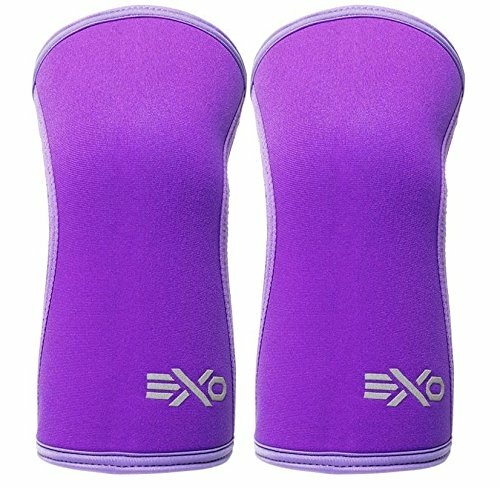 Stiff sleeve, good for moderate weight lifting. Flexible enough to wear during the whole workout..
Nice natural, comfortable fit with material that does not bunch at the back of the knee, while giving plenty of support. One of the best knee sleeves for CrossFit. Review: 7mm knee sleeves built for functional athletes and CrossFit. These sleeves are great for repetitive movements and offer some support without restricting movement. Tapered design so they are easy to remove. Longer than the average knee sleeve. Less rigid than other 7mm sleeves. 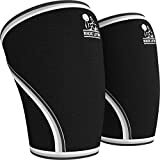 These knee sleeves are ideal for everyday wear and are comfortable and flexible enough to wear for the entire duration the workout, but may not be stiff enough for serious lifting. Review: These 4 panel neoprene knee sleeves come in both 5mmand 7 mm thickness. This sleeve is thick, and very supportive, while still allowing the knee to move. Stiff sleeve, good for squats, snatches clean jerks etc. Two thicknesses to choose from. Challenging to get off, rigid and tight. 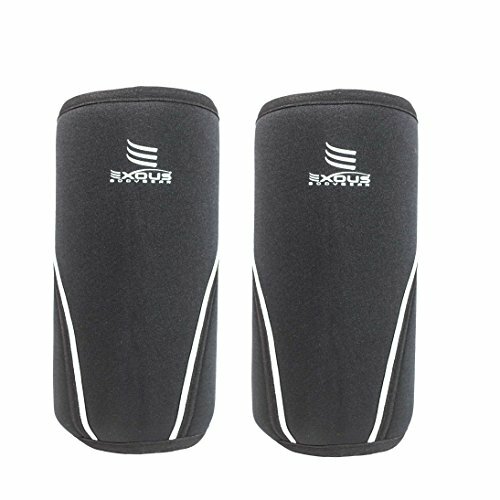 Great for power and strength movements, one of the stiffest and longest knee Sleeve designed for CrossFit. Review: These Iron Bull knee sleeves are a shorter sleeve, 4 panel,7mm neoprene sleeve with decent stiffness. 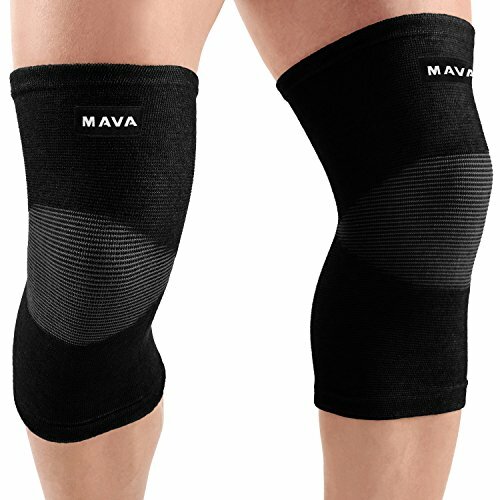 Rigid, stiff knee sleeve, tight and supportive. Double silicone strip to keep sleeve in place. These sleeves have a moderate length, not too long nor short, and they are pretty stiff and tight, and won’t get lax, loose and lazy with use. Review: These sleeves are comparable to the most popular rehband knee sleeve, while being significantly less expensive. Several users have said they are very similar in feel and while worn. Flexible enough for squats and high reps. Tend to run small, although they should be tight. 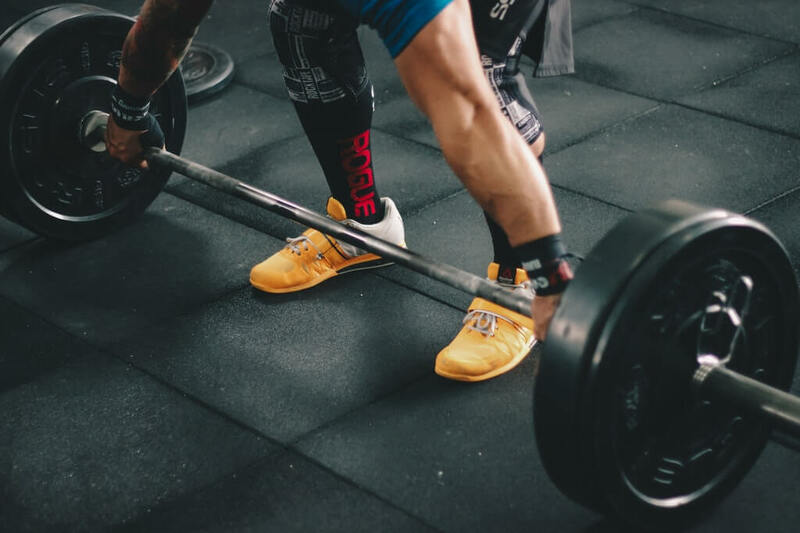 While the Nordic Lifting knee sleeves are some of the shorter knee sleeves available, some athletes prefer the shorter length, and they are also one of the best quality sleeves for the price. Review: These sleeves are made from synthetic material and have a lot of stretch. They are not stiff like other sleeves, but can be worn for agility movements. Made with bamboo, charcoal and latex, with antibacterial properties. Very flexible, great for agility movements. Long length compared to other sleeves. Not very supportive, won’t work for lifting or squats with weight. These are sleeves for days with no heavy lifting. They will keep the knee joints warm and can be worn for jogging and other agility movements. Review: Go stronger, longer with this thick, stiff rocktape knee sleeve with 4 panel construction, double stitching which has been improved from the 3rd gen onward. Choose between 5mm and 7mm thickness. Some people found them to be bulky. 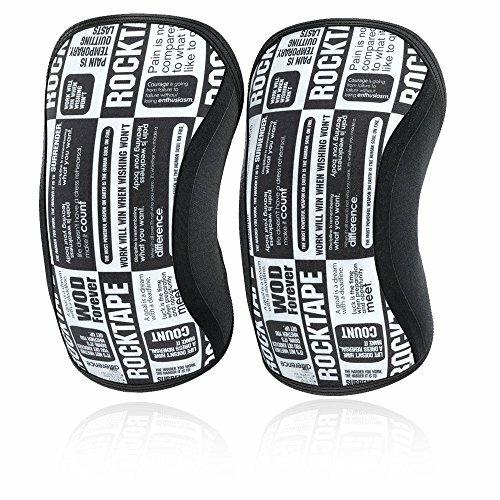 When you need support, these RockTape sleeves are there for you and your knees with extended length for just a little bit extra. 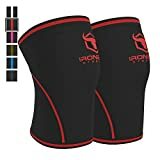 Some of the best knee support for CrossFit available. 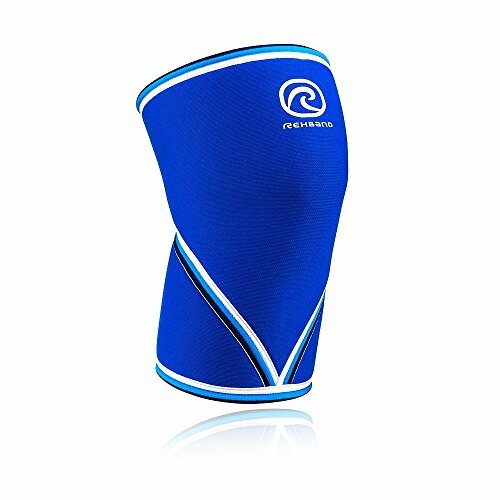 Review: These STrong Knee sleeves are stiff and supportive. They are rigid enough for serious lifting. Seams are on the side, not the front and back, so they are more comfortable. Sleeves do not stretch or warp. Tend to run large, if you are between sizes, try the smaller size. 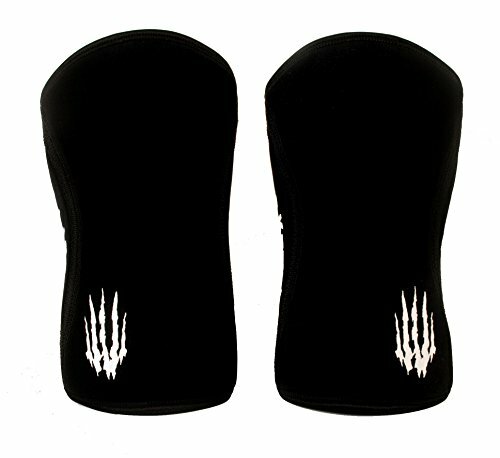 Get yourself some “Good Good” and get these STRONG knee sleeves by Mark Bell. Review: These Exous 7mm neoprene sleeves are longer than most knee sleeves available. Tag on the outside so it won’t irritate the skin. Great all around sleeves can be worn thru the entire workout. Material may bunch up at the back of the knee. These neoprene sleeves are excellent quality at an accessible price. 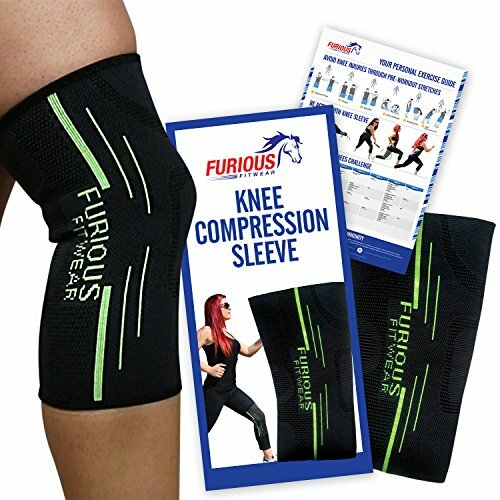 Review: These Furious Knee sleeves are 30 cm long, one of the longest available. hey can be used as protection from the bar scraping your knees on deadlifts, because only dorks use socks. Silicone band holds sleeve in place. Very flexible, can be used for running and agility. Some had problems with the sleeve rolling from the top. 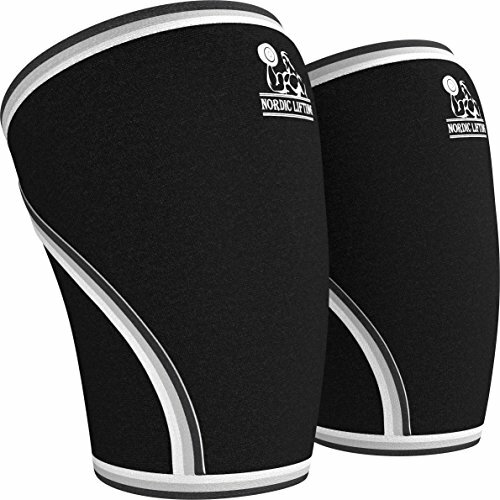 These light duty knee sleeves offer some support with allowing maximum flexibility. Plus, they are so comfortable; you will forget you are wearing them. Choosing the best knee sleeves for CrossFit may or may not be an easy task. You need one (or two) to protect your knees now and in the future. So pick up a pair and we will see YOU at the box!